I have to admit I’m feeling just a little bad about not getting more play-tests in before this but May/June are just crazy around here… So last weekend I was DETERMINED to get another game in… and I did (despite that fact that we had Karate grading in the morning and then we had to ride to the other end of town to get to the the Dragon’s Den for Free RPG Day… and then get groceries… and get to the library to return some books… did I mention it was pouring rain all day…?) 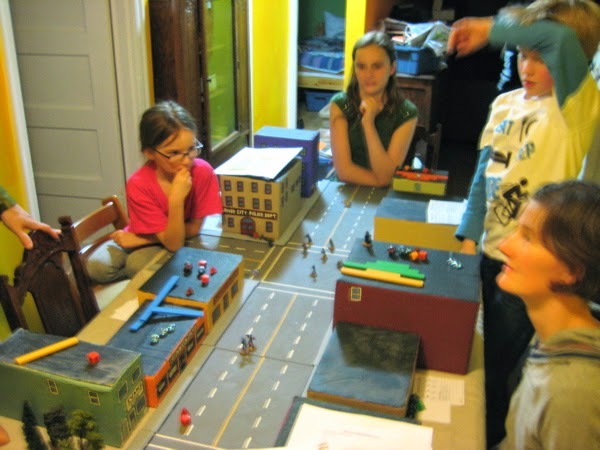 So I only had an hour or so to come up with some new heroes to try out… and then our friend arrived early… and we got started late… and then I had another insanely busy week… but that’s all over now… we played a game and her, finally, is the report! 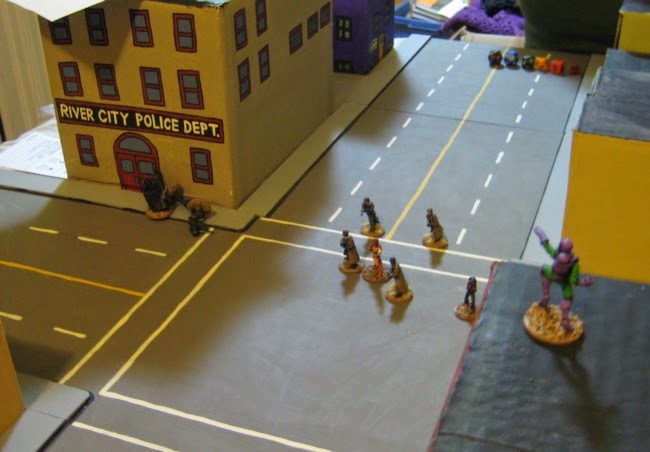 Members of the League of Bad Evildoers, recently busted out of the Prince Albert Penitentiary and looking for payback from the River City Super Squadron that put them there orchestrated a bank robbery that they knew would draw the member of the Super Hero team which the Evildoers could then ambush. 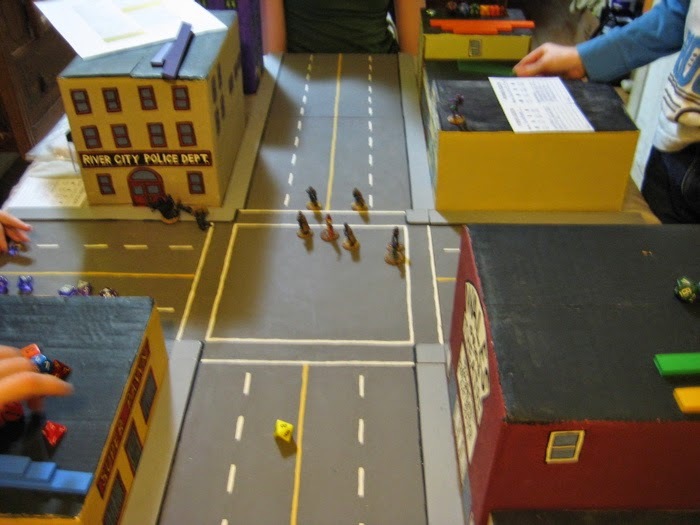 The two teams set up at the opposite ends of the street while the Police and the Bank Robbers face off at the intersection. 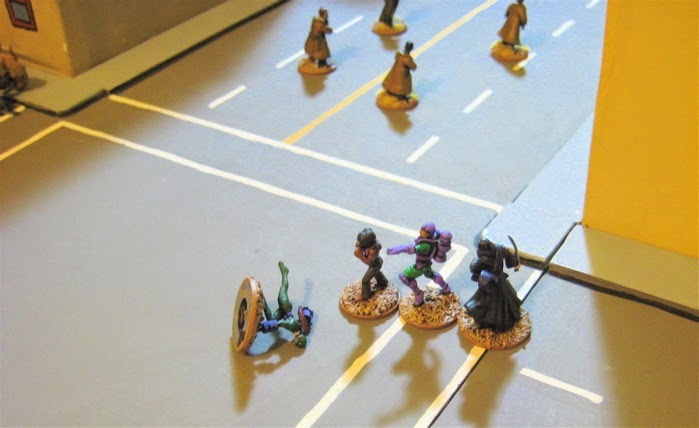 Dim Shadow kicked things off by teleporting to the polics station and ambushing the SWAT Officer easily taking him down! 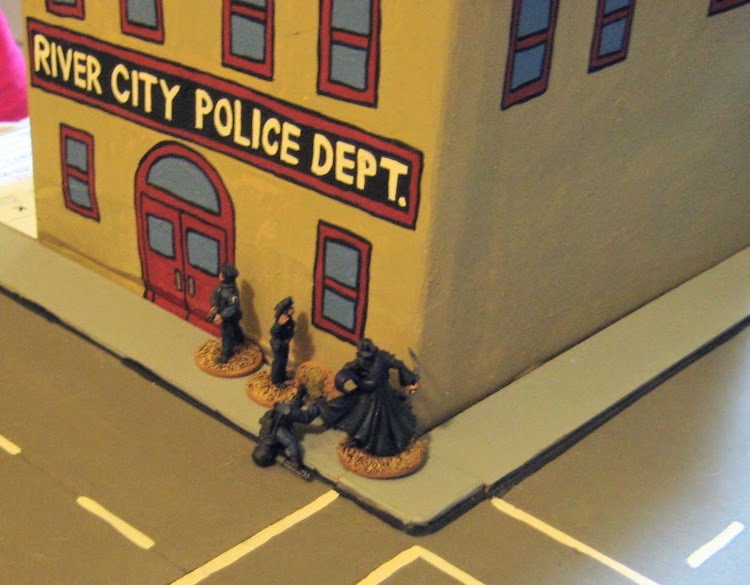 Punch Brewster ran up the street while Dim Shadow took down another cop. Super Energy Man unleashed a blast of raw Energy Power at The Sinister Dr. Flame staggering him! 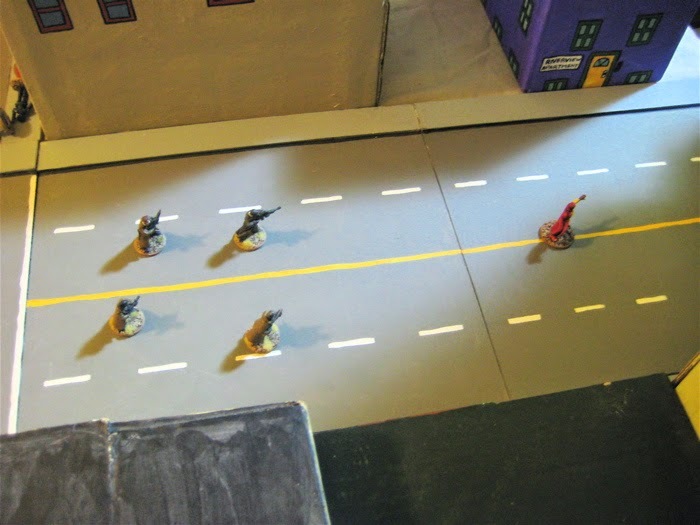 Then Super Energy Man flew away to the top of the River City Credit Union. 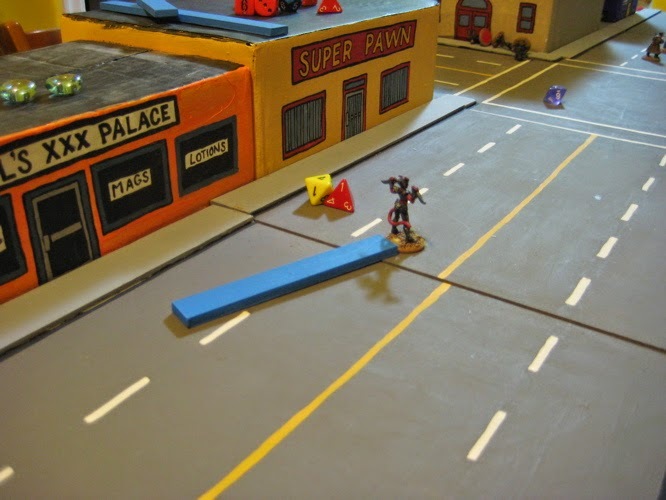 Dim Shadow teleported to the top of the River City Credit Union and attacked Super Energy Man… hitting him…. but not really doing anything (d8 armour, yo! 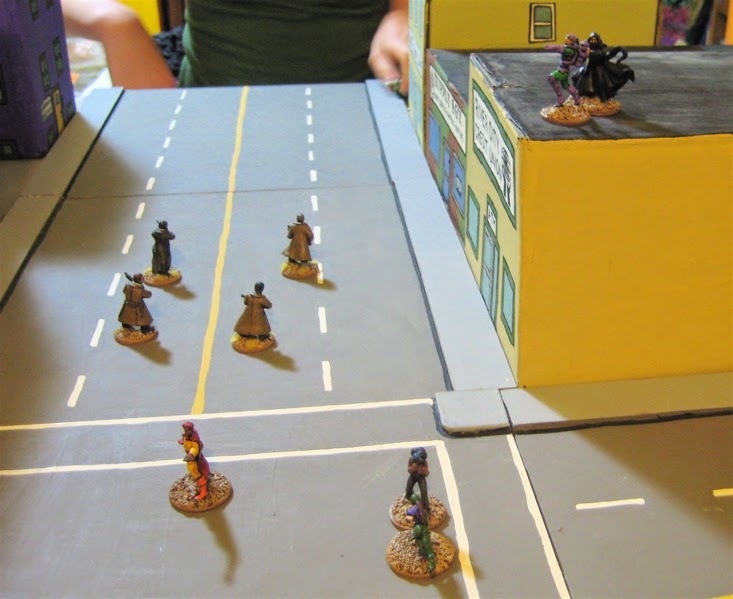 Should have made Dim Shadow’s knives armour piercing…)… and then she teleported away before she got her but kicked off that roof! 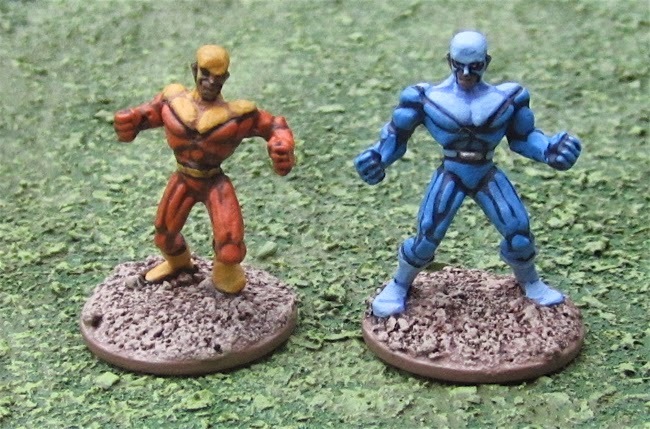 On the Heroes turn Super Energy Man flew down to join in the fight between Punchy Brewster and Superfastgirl… but nothing happened (probably punchy hit Super Energy Man, but couldn’t do anything to his awesome d8 armour/d8 Knockout). Superfastgirl also took a swing at Punchy and again with Punchy’s awesome d12 martial arts it was Superfast girl that got hit and was KOed for her efforts! Dim Shadow teleported into the melee between Puchy Brewster and Super Energy Man (and the unconscious Superfastgirl) hitting Super Energy Man (again) and doing nothing to him (again). Punchy then rolled a Turn Over. Oh, and The Sinister Dr. Flame succumbed to his injuries and was KOed. 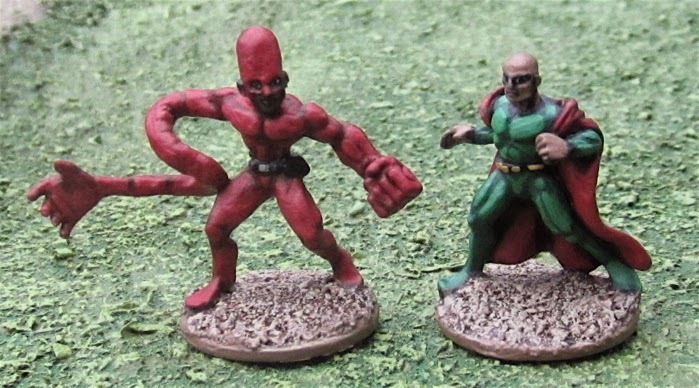 I guess we WILL be having a super villain break out next game! 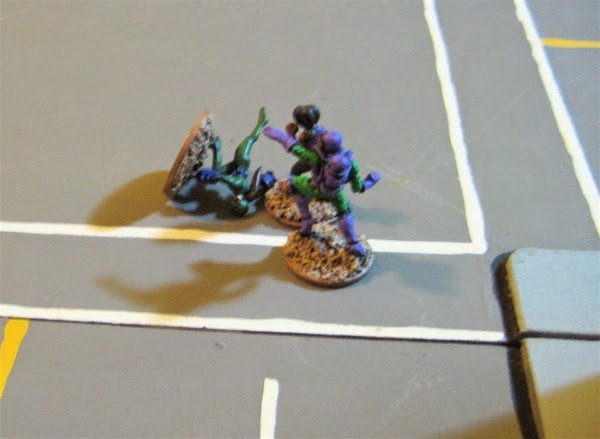 Super Energy Man Picked up Hell Girl and delivered a “Dive Bomb” attack on Punchy Brewster… I’m pretty sure Hell Girl missed - with Punchy’s awesome Martial Arts she probably did some crazy Aikido side step and HG piled into the ground. Hell Girl apparently survived the fall. I guess it was getting late and I stopped taking pictures… one both ends of the turn Punchy and Hell Girl hammered on each other – both times Punchy hit Hell Girl, but was unable to actually damage her. So they stood there. Hammering on each other. Super Energy Man flew down the street to seek out Dim Shadow and delivered a mighty Energy Blast with KOed the Dim Shadow. At that point we called it. 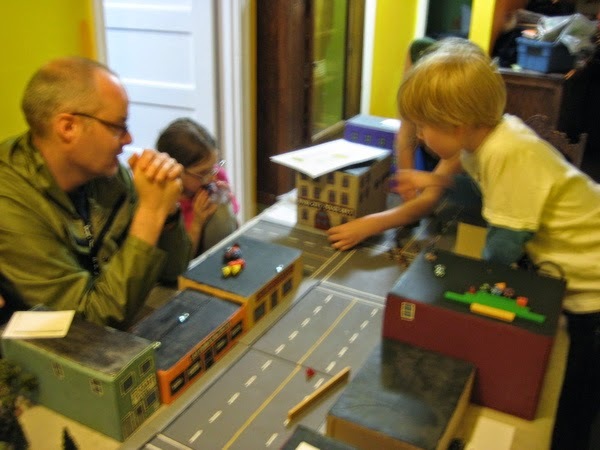 Again – a great game… took a little longer than I imagine it should – but mostly because I spent a lot of time looking things up to try and remind myself of how a few things worked. Once I get it in my head it will be a lot quicker. I’ve recently started The Story of the World Volume One: the Ancient World with the kids and have gotten thinking about Ancient wargaming… Though we’re nowhere NEAR the Roman times in the book, I thought I’d get these (and the others I’ve been working on and a few more still to come) because I thought it’d be fun to play Cthulhu Invictus… maybe using Tale of Blades and Heroes? 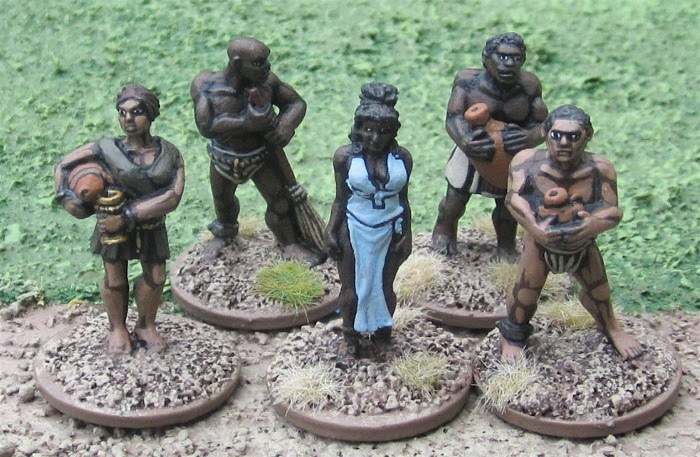 Slaves – most are from Wargames Foundry, except the African female in the center of the front row, she’s from Warlord Games. 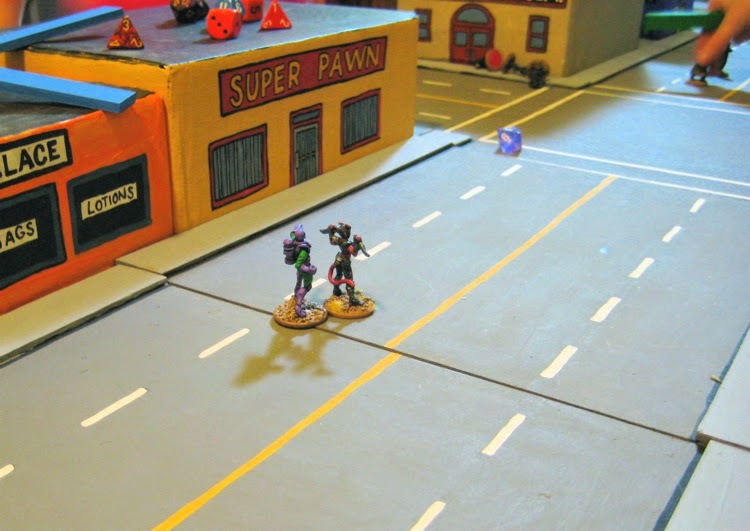 I STILL haven’t gotten that Power Legion game report done… hopefully I’ll get to that tonight or tomorrow. 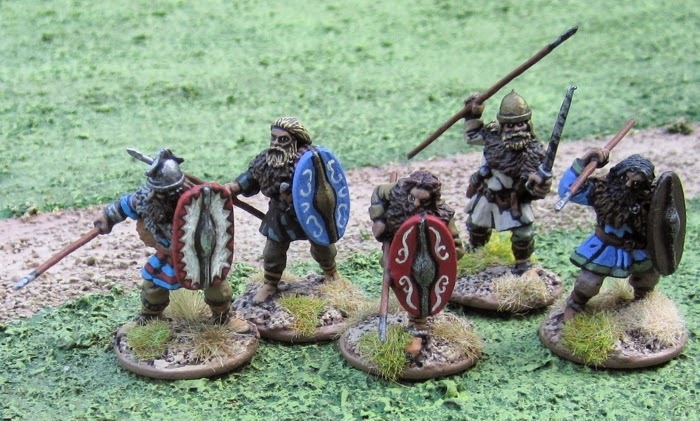 A few more ancients for skirmishing… These lots finish up the individually based Ancient Germans and Picts I currently have. 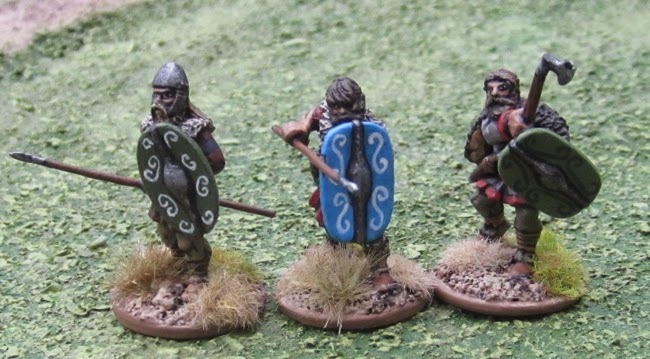 I should get working on their respective DBA armies – the Picts, at least, are half done! I probably will. I’ve been doing a lot of thinking about what to do over the next year or so. 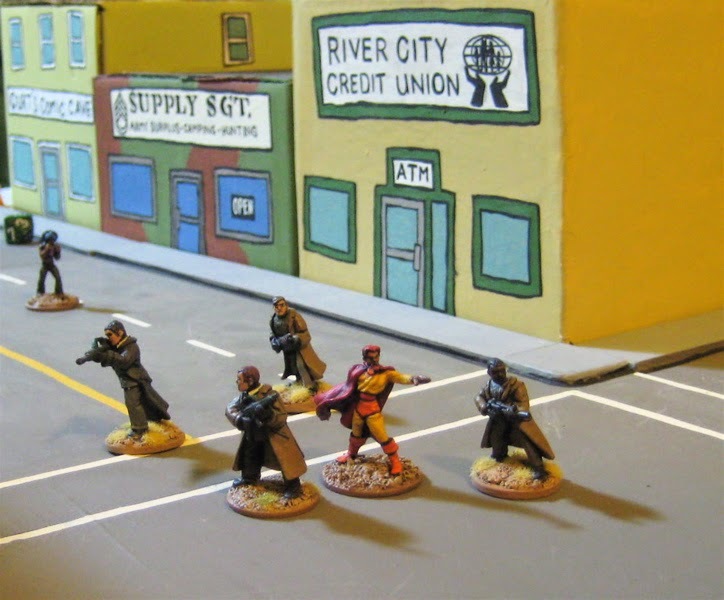 This year I’d like to get working on a bunch of my ancients – some individually based for skirmishing, some on multi-figure bases for DBA/HOTT. 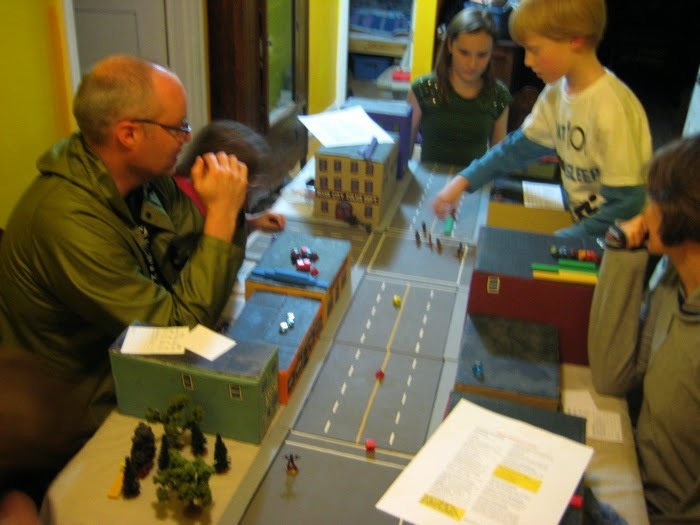 I have Egyptians, Nubians, Ancient Germans, Picts, early Imperial Romans (at least 3 DBA armies worth!) and Ancient Greeks (at least four or five Hoplite DBA armies, 5 Alexandrian Successor DBA armies, and an army of Amazons), Thracians, Skythians, Indians… wow… now that I think of it I have an awful lot. 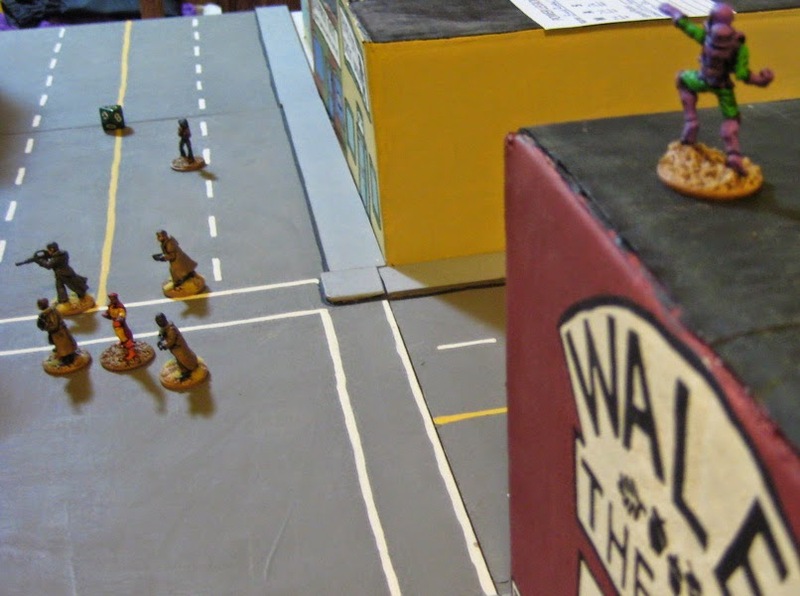 It’s almost embarrassing (if it weren’t for the fact that most of my readers also have multiple unpainted armies in their own storage closets…). 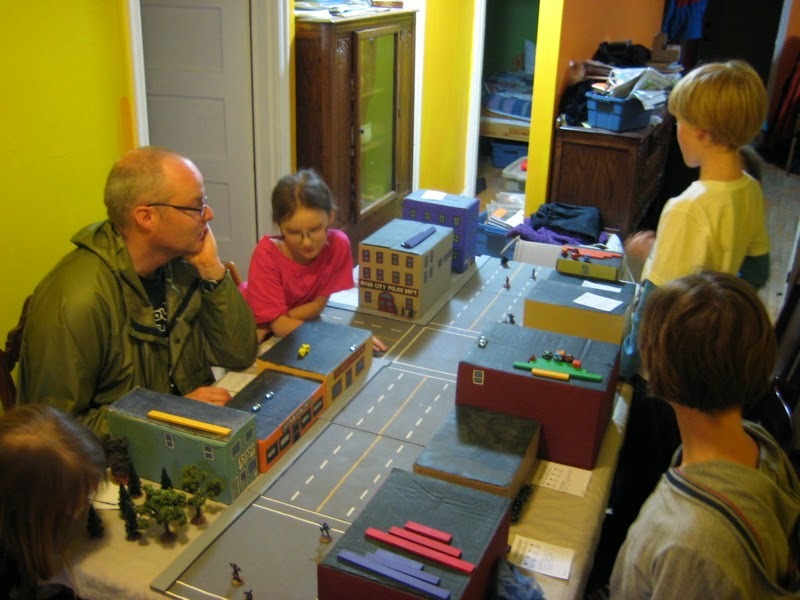 Perhaps I won’t get them all done - especially since I’d also like to finish up painting the Great War stuff that I happen to have (3 battalions of Canadians, one of French, plus assorted artillerymen and guns) and built the terrain for the Third Canadian Division’s area of operations at Vimy. I probably won’t be picking up any more figures (to complete a third brigade for the Third Division) as I’d really rather not buy any more figures this year. As it is I’ll have to paint 20 figures a week for the rest of the year just to match the number painted with the number acquired! 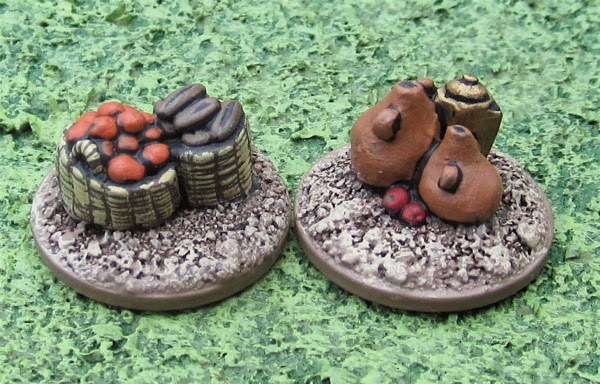 Picts – a mix of Black Tree Design and Wargames Foundry. 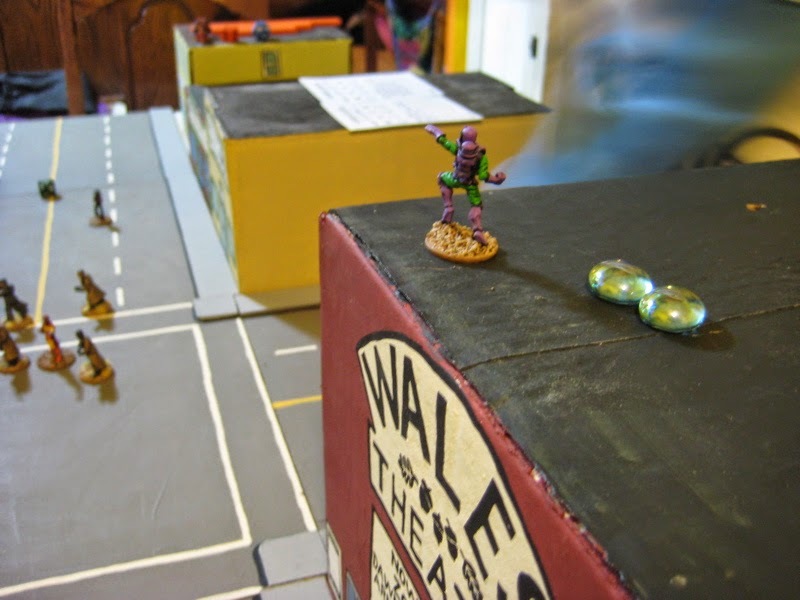 I DID get around to doing another play-test of Power Legion on the weekend, but haven’t had a chance to post a report. I’ll probably get to that next. After that…? Likely some more ancient stuff. I have a bunch more Roman civilian types on the workbench. 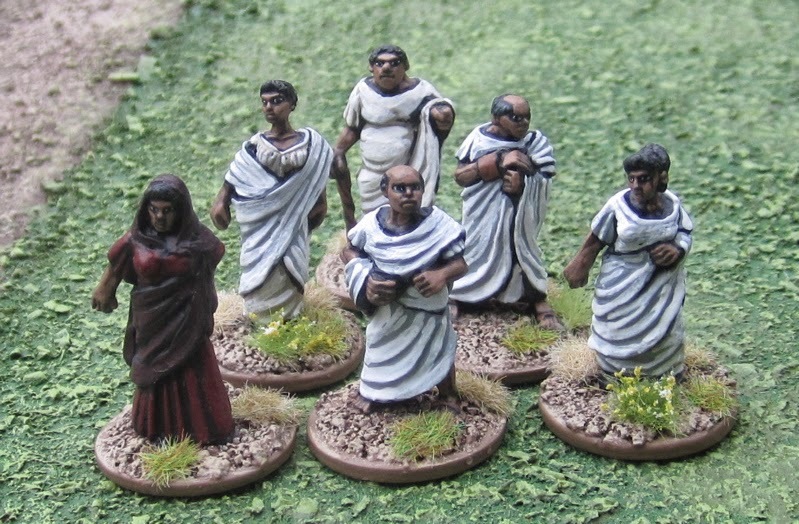 Some upper class Roman Citizens from Wargames Foundry. 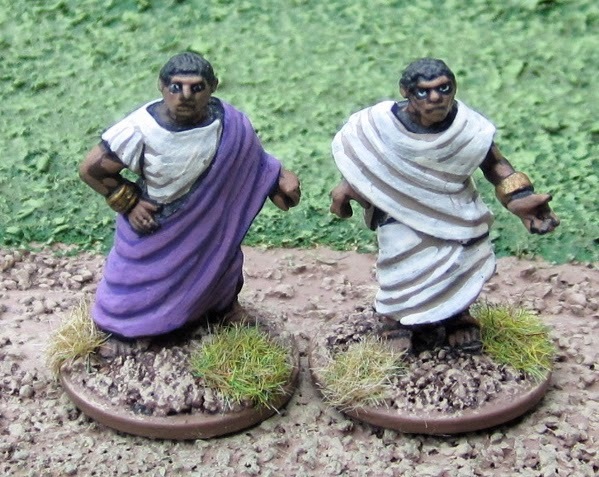 Some lower class Romans citizens or slaves – also from Wargames Foundry. 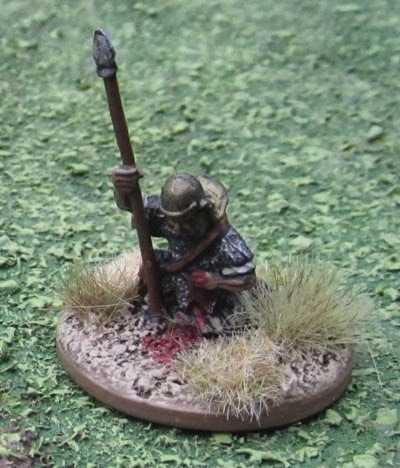 A wounded Roman auxiliary from Warlord Games. 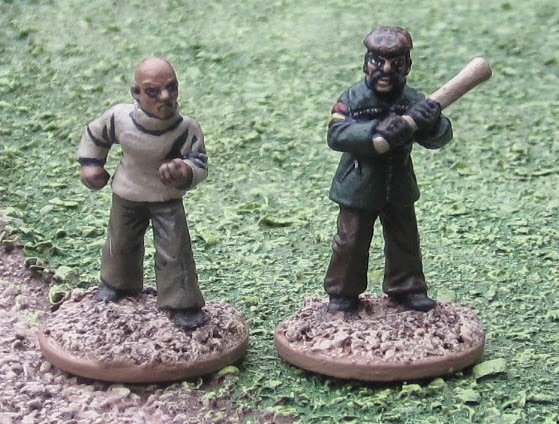 Some ancient Germans from Black Tree Design. Can anyone guess what I’m planning to do with all these…? 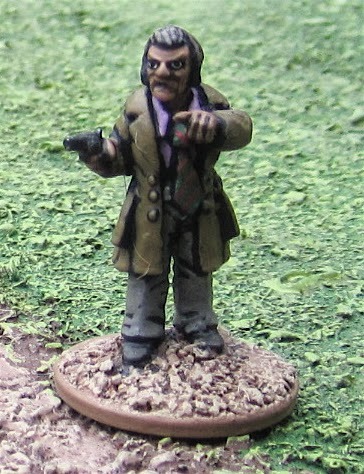 “Putcher trousers on, you’re nicked” – The Flying Squad Guv’nor from Killer B Games. I have a batch of ancients that I’ve also finished up that I’ll be posting separately as a separate post.